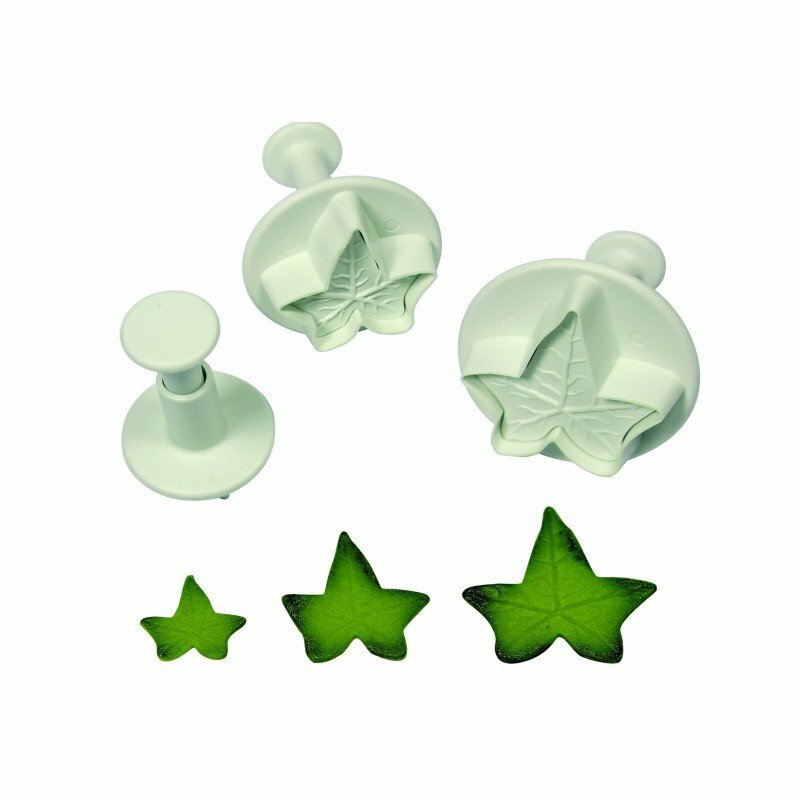 Set of three veined ivy leaf plunger cutters used to create simple yet effective leaves in a variety of mediums like gum paste or fondant. Measuring 15mm (0.6 inches), 22mm (0.9 inches) and 28mm (1.1 inches) these cutters are made from ABS plastic that is easy to use and clean. Pressing the plunger button leaves delicate veins in the leaf and releases your paste quickly and easily. Hygienically wrapped with high quality, durable, Eco-friendly packaging.